"Error(Code:846): Attempted to start integration while measurement of peak overflow was in progress"
The following error code will appear if Peak Over has occurred and you attempt to start integration. The WT3000 has two types of indicators, Over Range and Peak Over, which are used to indicate when a measurement value has exceeded the limit range. When the crest factor(CF) is set to 3, the WT3000 can measure up to three times the RMS range value. When the CF is 6, the WT3000 can measure up to six times the RMS range value. If the RMS value of the input waveform is larger than the setting of the range value, the WT3000 shows Over Range or --OL--. In this case, integration can still be started and no error will occur. The Peak Over indicator illuminates red if the measured value of the input waveform is larger than three times the range value (CF=3) or six times the range value (CF=6). If Peak Over has occurred, but the measured RMS value of the input waveform has not exceeded the RMS range, Error 846 will occur. If you supply current exceeding approximately 2.8Arms to the 2-A input element, the protection circuit activates and bypasses the measurement circuit of the WT3000. The Peak Over indicator at the top section of the screen will illuminate red. The measured value will display approximately 0 A, but current is actually flowing through the circuit under measurement. Therefore, DO NOT disconnect the wires to the measurement terminals. The Peak Over range indicator may not illuminate or blink in the following cases. 1. 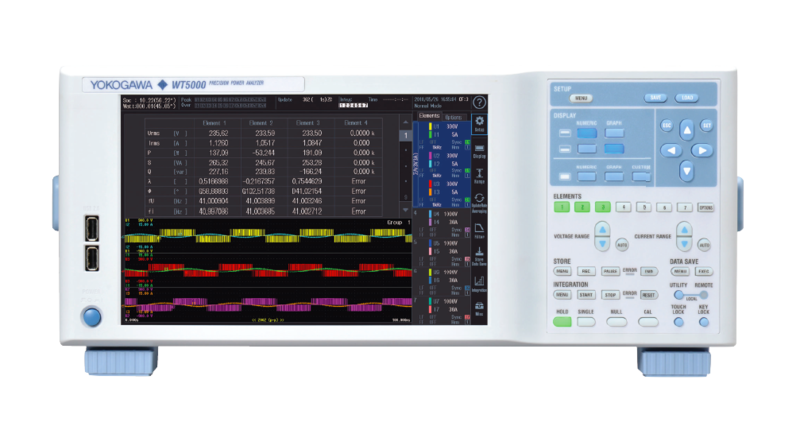 If the pulse width is narrow, and the peak value of the waveform cannot be acquired at the sampling rate of the WT3000 (approximately 200 ks/s). 2. If the high frequency components of the pulse waveform attenuate due to the bandwidth limiting by the WT3000 measurement circuit and the waveform peak value is less than the Peak Over range detection level.